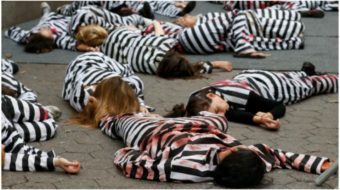 The UK-based Committee for the Defense of the Iranian People’s Rights (CODIR) has called on labor and progressive movements and people across the world to join the movement of solidarity with a group of prominent political prisoners who are on hunger strike in Iran against the maltreatment and murder of political detainees. 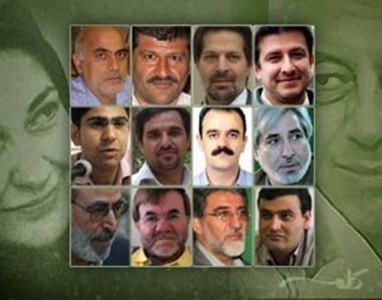 The 19 hunger strikers include a former deputy foreign minister, a number of well known progressive journalists, a former general secretary of the student movement in Iran and several reformist politicians. Twelve political prisoners in section 350 of Tehran’s Evin prison began their indefinite hunger strike on June 18 in protest against the murder of two political prisoners, Haleh Sahabi and Hoda Saber, earlier in the month. On June 23, six further political prisoners from Rajaei Shahr prison in Karaj joined the hunger strike. Mohsen Amin Zadeh, a former deputy foreign minister during the presidency of Mohammad Khatami, who was on temporary release from prison when the hunger strike began, was called back to Evin prison after attending Hoda Saber’s funeral. Before returning to prison, he announced that he also would join the hunger strike. Emadoldin Baghy, one of the first political prisoners to begin the hunger strike, was released after serving his term. He has vowed that he will nonetheless continue his hunger strike until the demands of the protesters are met. Mohammad Javad Mozafar, another of the political prisoners on hunger strike, was given three days’ temporary leave from the prison to attend a relative’s funeral. He too indicated that he would stay on hunger strike during his temporary release. Mehdi Karimian Eghbal, another political prisoner, has also joined the hunger strike in place of Emadoldin Baghy until he returns to custody. According to reports from Iran, the physical condition of prisoners on hunger strike in Evin prison is deteriorating and on June 22, the fifth day of their hunger strike, Abolfazl Ghadyani (who also has a heart condition) and Abdullah Momeni were transferred to the prison infirmary. As a result of the hunger strike, Mohsen Amin Zadeh’s blood pressure has increased severely but the prison authorities have refused to transfer him to the prison infirmary or an outside hospital. 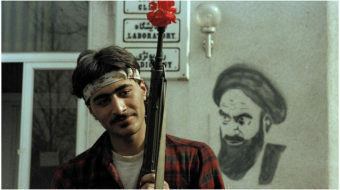 “The testimony of the political prisoners” refers to a letter signed by 64 political prisoners in Evin prison immediately following Saber’s death, describing the verbal abuse and beatings that he received in the prison infirmary immediately preceding his death. 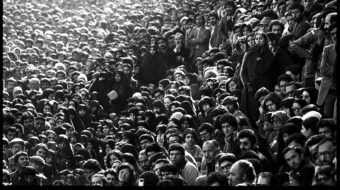 CODIR campaigns against the abuse of human and democratic rights in the Islamic Republic of Iran. The organization notes that the Iranian regime has been condemned internationally for its complete disregard for international norms relating to the treatment of political dissent and promotion of personal rights and freedom. * respect for all international conventions governing human and democratic freedoms, freedom of press and the activities of political and trade union organizations. CODIR asks that letters be sent as a matter of urgency to all Iranian embassies and consulates, protesting against the inhuman conditions and practices that political detainees in the Islamic Republic of Iran are subjected to, and calling for the demands of the hunger strikers to be met immediately and in full.